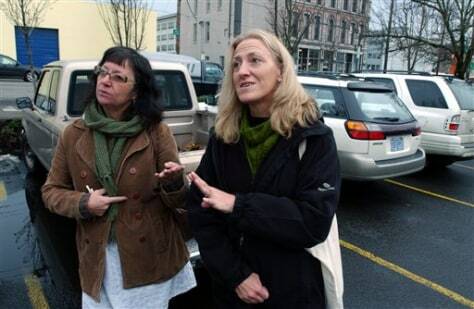 Jill Kahnert, left, and Lynda Williams of Portland talk about the idea of a mileage tax. Williams was not immediately sold on the idea but said it was worth considering. "We all have to be open-minded," she said. "Our current system just isn't working."